Engage demonstrates the difference that philanthropy makes at Wake Forest Baptist Medical Center. Designed for donors and donor prospects, the Office of Development and Alumni Affairs publishes this magazine twice each year. Its objective is to intrigue readers and stimulate their interest to learn more. The publication focuses on the people who make Wake Forest Baptist a great place and strives to illuminate the ways in which philanthropy has made an impact on Wake’s ability to carry out its mission. When we were enlisted by the Office of Alumni and Development to work on Engage, we began with a comprehensive audit to develop a strategy for their new development communications effort. Our collaborative work with the development office complemented an internal task force at Wake Forest Baptist making recommendations to strengthen the culture of philanthropy at the Medical Center. Both of these initiatives were corroborated by the recommendations of a campaign readiness study prepared by Ketchum. Armed with study results and confident with the evolved philosophy, we began building out a comprehensive, multi-channel communications program that included targeted mini-magazines for alumni as well as (non-alumni) donors in print and digital media. To view a static version of Engage on your Android device click the icon below. 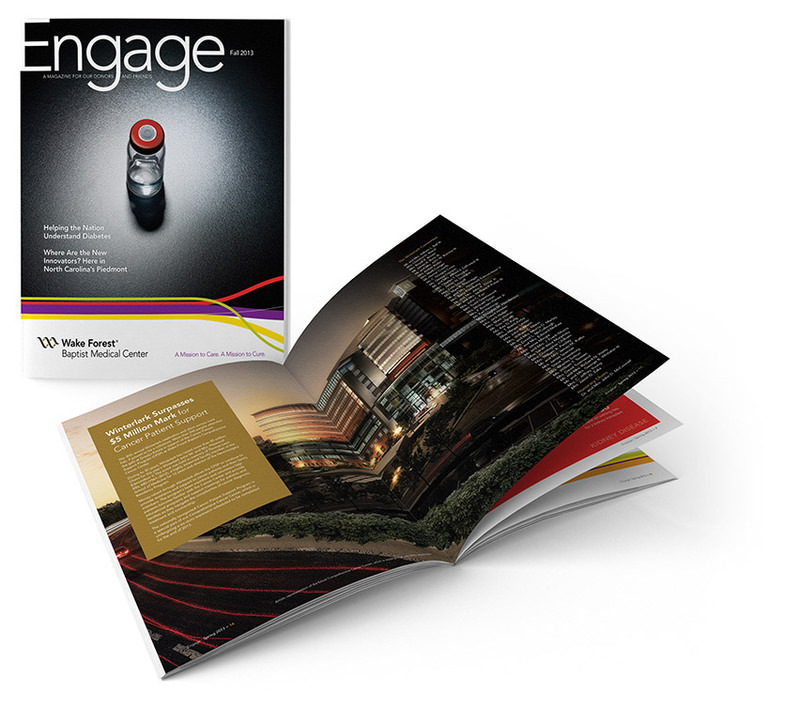 This media rich version of Engage offers a captivating reading experience with interactivity and video interviews.